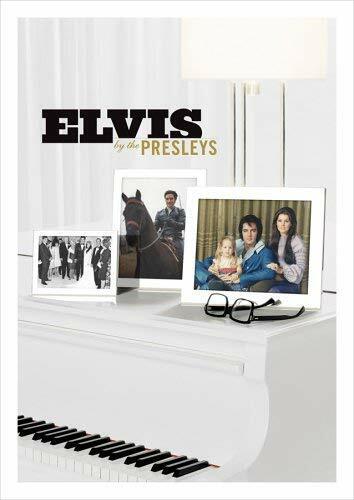 Elvis By The Presleys - BUY THIS DVD! ELVIS BY THE PRESLEYS, a new entertainment special that will feature a collection of new, intimate interviews with his former wife, Priscilla Beaulieu Presley, and their daughter, Lisa Marie Presley, includes exclusive, never-before-seen television performances, photographs from the Presley Estate archives and Presley family home movies. In the special, Priscilla and Lisa Marie speak with unguarded candor about their lives with the legendary Elvis Presley and offer an intimate look at their family and private life. Rare interviews with Elvis's first cousin, Patsy Presley Geranen, and Priscilla's parents, Ann and Paul Beaulieu, are also featured. Vintage, never-before-seen performance footage will be interwoven with photographs from the Presley Estate archives and press coverage of Elvis over the years. Private home movies of the Presley family illustrate and illuminate his story with vivid detail, honest insight and great warmth. Different aspects of Elvis's life, including his tours, his time in Hollywood and his home life, are depicted with the insight that only his family can bring. His career ups and downs, his kindness and generosity and his human frailties are all brought to light as well as a reflection on his place in entertainment history and his enduring legacy. THEN SEND IN YOUR NAME AND ADDRESS TO contests@efilmcritic.com or WeLoveHBS@aol.com. (Just one e-mail please.) Put "DON'T DIS YOUR POPS, LISA MARIE!" in the subject line and cross your fingers. We will draw names and one of the DVD sets will be yours. Only 1 entry per household.